According to research company Radicati Group, 215.3 billion emails were sent daily in 2016 and that number is expected to grow to around 258 billion by the year 2020. With that many emails sent every day, finding ways to stand out from the competition - and even the crowd - can be a challenge. From selecting an email marketing provider to choosing add-on services, there are a number of tools to consider. MailChimp is a power player in the email marketing service industry because they provide a free service for those sending out only an email or two each month to a small list. They report a customer list of over 14 million customers sending over one billion emails sent per day. PCMag gives MailChimp an excellent "Editors' Choice" rating. 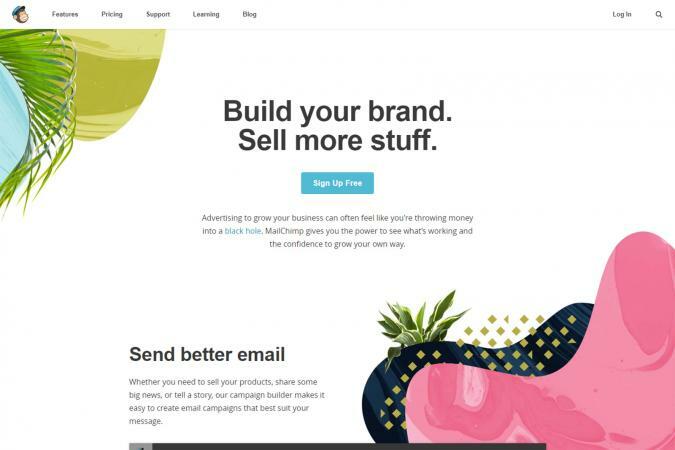 MailChimp is a service that can grow with your business. It also has add-ons for social media management, such as a feature that allows you to automatically announce your newsletter to subscribers. A con of this platform, as reported by customers, is the limited nature of their free version. It won't take long before you find yourself needing to sign up for paid services. One drawback to the free version is that the MailChimp logo always remains at the bottom of every email. Cost: A free subscription may suffice for some users to start with. The lowest paid subscription is $10 a month. iContact is rated as an A+ by the Better Business Bureau and is listed by Business News Daily as having "great customer service." The service has hundreds of different email templates that are easy to use by dragging and dropping what you want, where you want. To get started with iContact, you will need to register and open an account. Once you confirm your account, you can sign in and choose to start an email or social media campaign. You can use their templates, or if you are an advanced designer, you can create your own. The ability to upload your own images is limited by the 5 MB limit of free space. You'll have to pay more if you go over that, which happens quickly. This cost may be prohibitive for a smaller company. Cost: Pricing starts at $14 per month or $11.90 per month with an annual subscription. Prices vary for higher level plans. 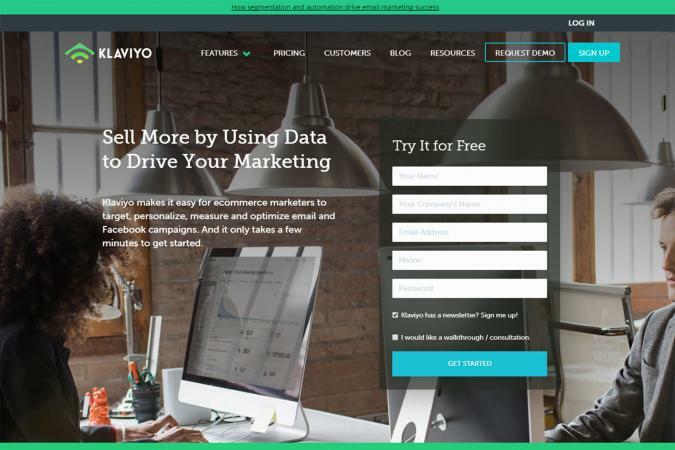 Klaviyo is at the top of the charts for analytics and list segmentation. It is designed for people without expertise in email marketing. In a review posted on Shopify, a customer said, "Klaviyo made it so easy to set up all of my email sequences and to run my first campaign. They make it affordable too." Klaviyo's key drawback is how rapidly its price increases for larger lists. With enough email addresses in your list, you will be paying $1,000 a month. However, by the time your company has an extensive email list, you should be making thousands in revenue per email marketing drop. Cost: Limited free plans are available. Pricing for fee-based plans starts at $25 per month. PCMag designated Campaigner as an "Editors' Choice" for email marketing software in 2017. They describe Campaigner as "a well-designed email marketing service that offers numerous advanced features and a generous trial." Campaigner's platform has a clear focus on automation based on customer behavior without needing to know technical details. Although PC Mag recommends this platform, they also report Gmail import issues for some companies. Campaigner does offer 24/7 phone support to help solve issues. Cost: Pricing varies, with plans starting at $19.95 per month. Delivra promises to "drive engagement and increase revenue." 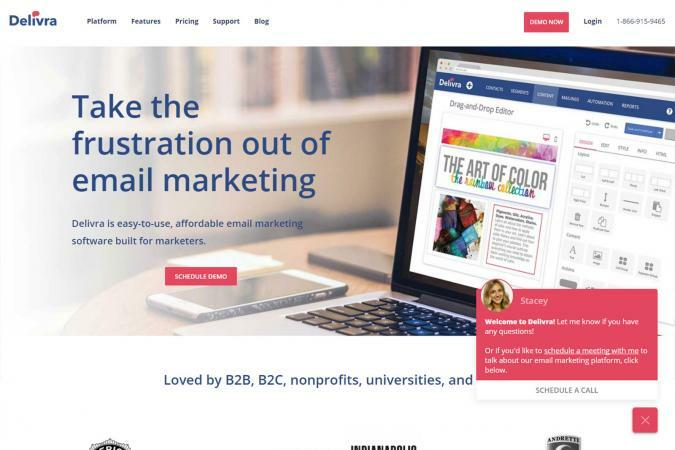 Built specifically for small to medium-sized businesses, this software doesn't require digital marketing expertise to be successful with email marketing. Their templates make it easy to deliver quality messages to your customer base. On Capterra, Delivra gets high marks for both ease of use and customer service. With 24/7 customer service, they work hard to keep their business clients happy. Capterra points out that this platform does not integrate with all Customer Resource Management (CRM) programs. Because of this, large companies that have already implemented CRM efforts may not be able to sync every platform. Cost: Pricing starts at $75 per month for 3,000 contacts or less. Higher-level plans are available. 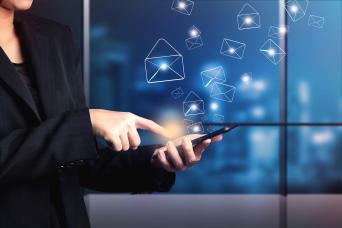 There are a number of helpful tools beyond complete email marketing services. If you are looking for additional ways to boost your business and you don't see a set feature in your program, there is likely a quick tool you can add to your email marketing process. 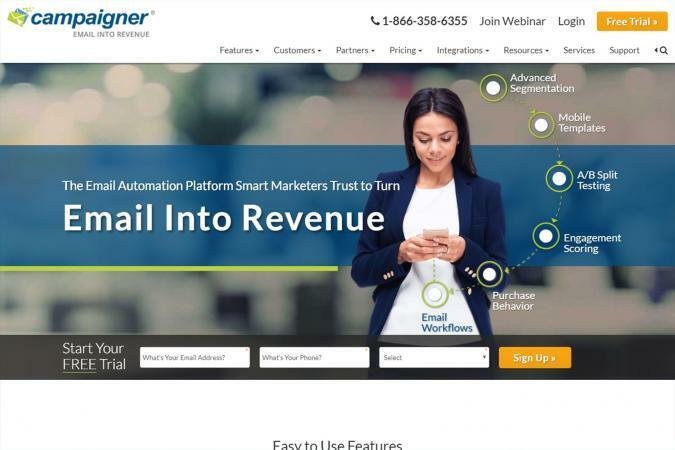 From subject line testers to email subscription pop-ups, Beyond the previously mentioned email marketing tools, you may want to use some of these add-ons. Have you ever spent hours researching keywords and counting characters to make sure your email subject line is spot on? Enter subject line checker software. This tool can eliminate the tedious task of keyword research. It is based on other successful email campaigns and advanced algorithms that all work together to make a suggestion on the best way to change your email subject line to get the best results possible. 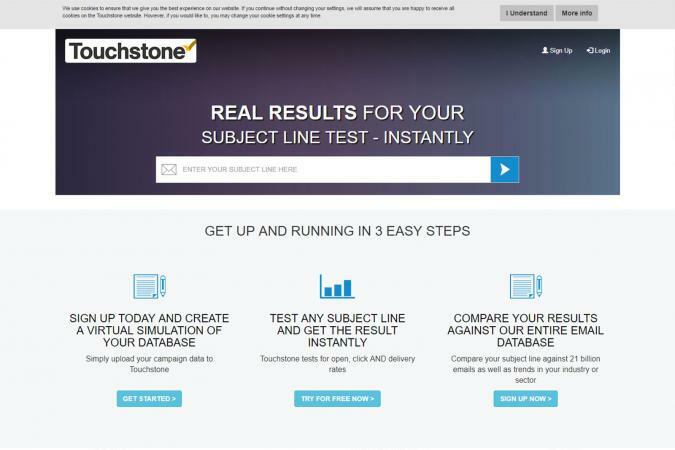 Touchstone Tests software learns your subject lines and audience preferences over time and works not only to enhance your subject lines overall, but also to ensure that they are perfected specifically for your reading audience. Many major organizations use Touchstone Tests, which is enough of an endorsement to consider it a great option. Some of their largest clients include SeaWorld, Disney, Haverty's, Staples, SwimsuitsForAll, and RentalCars.com. The con to this software is the requirement to leave your email software in order to check your subject line. Don't forget to add this step to every email campaign you create. Cost: This tool is free. According to a survey conducted by Animoto, four times as many consumers would prefer to watch video about a product than read about it. Why not add it to your email marketing efforts? 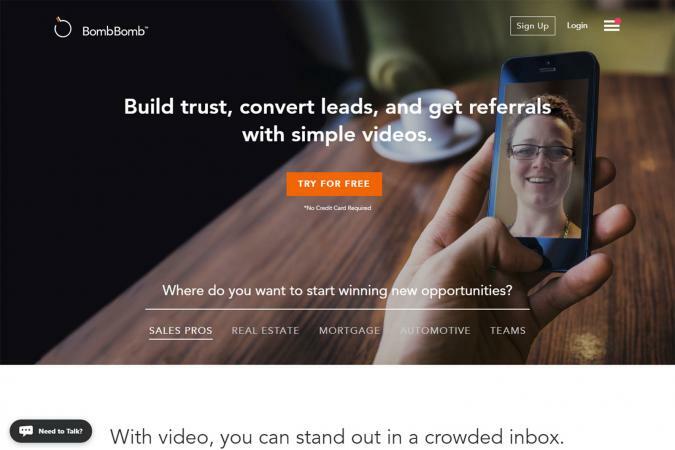 BombBomb allows you to integrate a video directly into your email marketing pieces. It's like getting a televised commercial out, but directly to your target audience. BombBomb can actually serve as your email marketing platform if your focus is on video in most campaigns. The interface is simple to use, so even a novice online videographer should be able to get it up and running quickly. A customer says, "It is quick to use and makes you look great! Not a big learning curve just open and use." While the software is simple to use, you may not need it because your primary email marketing platform may already offer this service. Check it out before you commit to a video integration subscription. Cost: Pricing starts at $39 per month for an annual subscription. Anything to make your life simpler and remove steps from your daily process saves you time and money. To that end, it can be helpful to automate web functions with tools to integrate with your email marketing campaigns. IFTTT stands for If This Then That. It is is a tool you can use to integrate with your email marketing campaigns in a number of ways. For example, you might want to create an archive of past newsletters. If so, you'd simply include a specific address in your contact list and IFTTT would send your email to a DropBox or other account for storage. IFTTT works with multiple platforms, so whether you want to send to a blog, online storage or even a separate email address, you can set up a scenario (called a recipe) that will work for you. PCWorld gives IFTTT high marks for being free and providing the opportunity to build "interesting connections." To use IFTTT, simply sign up for a free account and start creating 'recipes.' It may take you a little time to learn how to write a recipe for your specific needs. You will have to integrate the accounts you want to use with IFTTT. 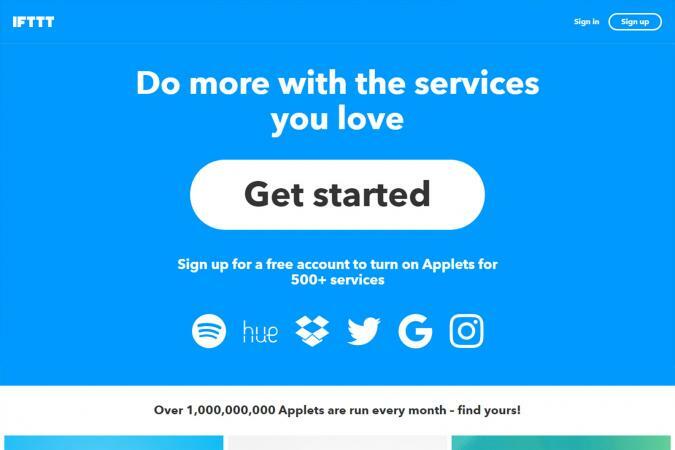 As with any marketing tool, there are pros and cons to IFTTT. While it is free to use and can save you from having to do tedious tasks over and over, such as uploading a saved email or posting on social media when an email is sent out, creating the recipes can be tedious. Once you get the hang of it, though, it should be fairly simple to create custom recipes that will work for you. Adding a pop-up landing page to your website or creating an ad campaign landing page can be a great way gather email addresses and boost email marketing subscribers. 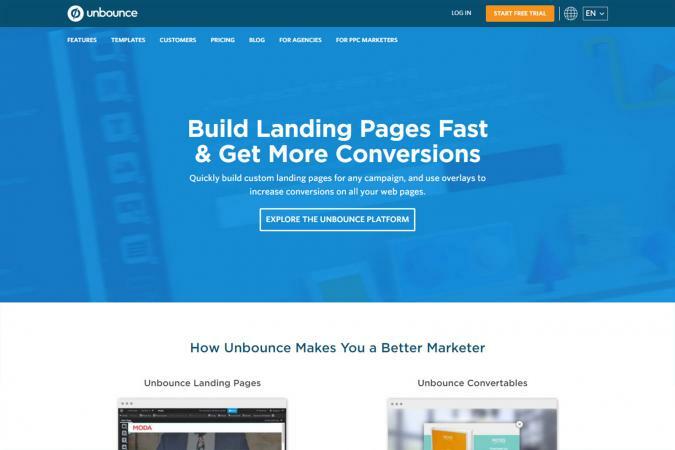 Unbounce allows you to create and test landing pages. Not only can you create a page with a popup box for subscribing to your newsletter, but you can track the results of that landing page to see how effective it is. Creating pages on Unbounce is a simple matter of choosing a template, adding your own logos and designs and uploading the file to your website. In a recent review from TrustPilot, a customer who recommends the application calls Unbounce "a good landing page tool which gives you plenty of design options." Even Unbounce points to the obvious drawback that pop-ups can be annoying. You risk alienating some of your site visitors if you don't use pop-ups selectively. However, the increase in percentage of email list subscribers may outweigh the risks. Cost: Price varies based on how many unique visitors come to your website each month. The most popular option is $79 a month. While there are numerous email marketing tools and companies that will help you create an email from a template, one of the best things you can do to stay ahead of your competition is to understand what your customers want. The best software in the world isn't a replacement for excellent customer service from you. However, marketing tools can help you build on what you're already doing right. Now, you can start building your email marketing plan.